Washstand refinish - an old piece gets a new life! 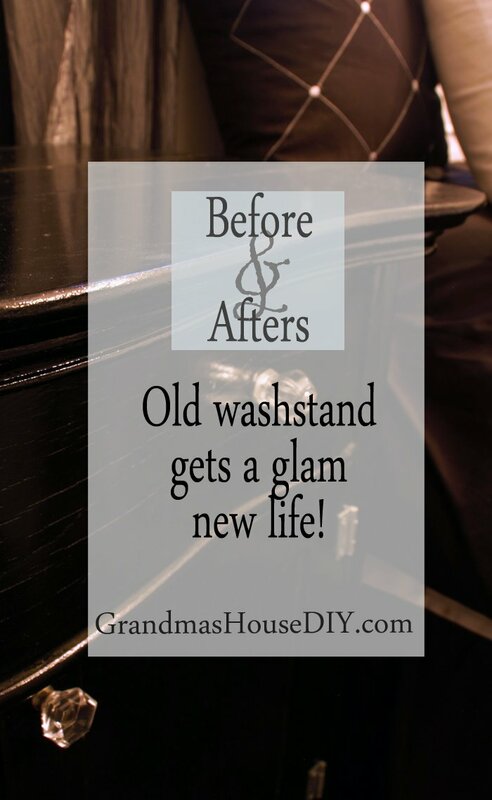 An old washstand gets new life and purpose! After being gifted the incredible bedroom set that my grandma left behind I was in a dilemma for end tables to match. 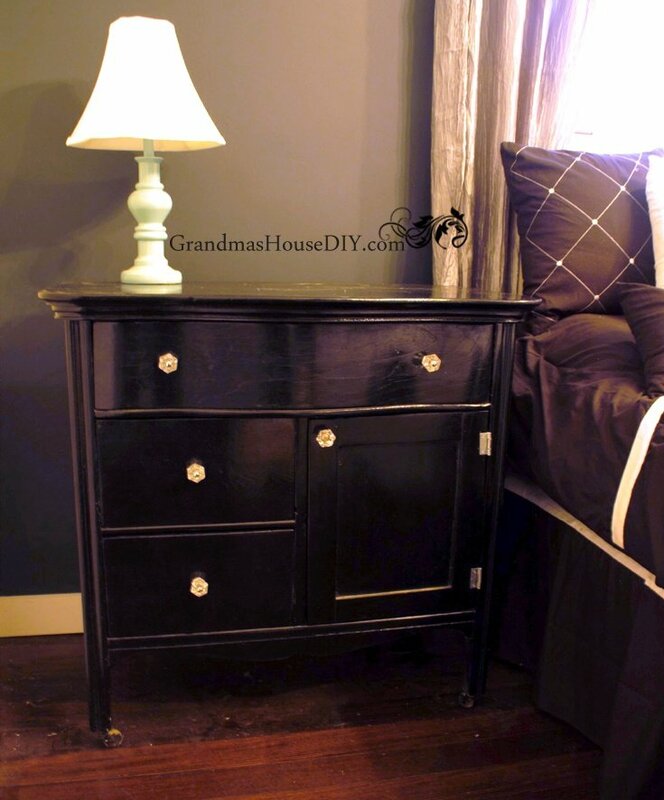 The two gorgeous dressers I had already painted black and added glass knobs to but the more I looked for end tables for the bedroom the more I came up at a loss. 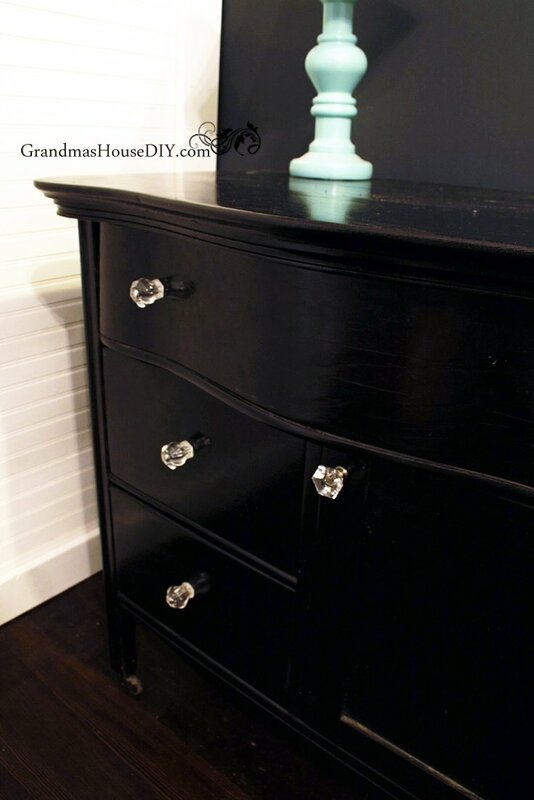 (See one of the dressers here: Before and After: My Grandma’s dresser goes Hollywood glam with black paint! 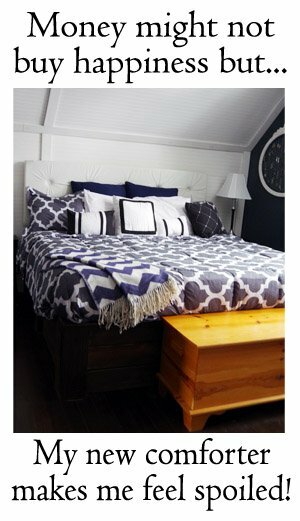 and see the other one here Before and After: The last piece of my Hollywood bedroom set!) My eyes settled on this old washstand piece for two reasons. One: it was about the right size (albeit a bit big for an end table) and Two: It shared similar curves to the dressers though it was a different piece entirely. UPDATE: Go check out my Master Bedrooms Reveal to see this washstand in action! It was also in far worse shape then the dressers and I had no idea it had once been an washstand until my aunt pointed it out to us one day. Once I started getting a look at this old piece I realized it was going to be a helluva lot more work then the dressers ever were. They had not been touched and only required a light scuffing and a few coats of paint and poly. 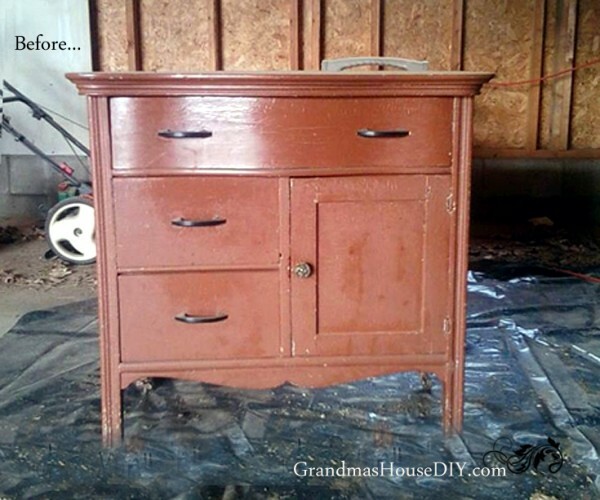 This old washstand, however, was sporting a good four coats of paint and a door that had been added much later. I got out my paint stripper and dove in to one of the longest and most difficult furniture stripping jobs of my life. This old piece sat in my grandma’s entryway for as long as I can remember. I always liked it but I remained a bit concerned about how it would work out as a bedside table. I’ve always had a king size bed (spoiled girl – I know) so I crossed my fingers that the size of the bed would work with the size of this washstand. So far, I’m ecstatic with how this old wash stand turned out. Even sitting side by side with one of the dressers they look like they belong together even though this piece is clearly different in its own way, which I love. (Matchy, matchy, doesn’t really work around here.) Despite all the work this piece I will say, without a doubt, that it was worth it! I love love love how much storage I have! 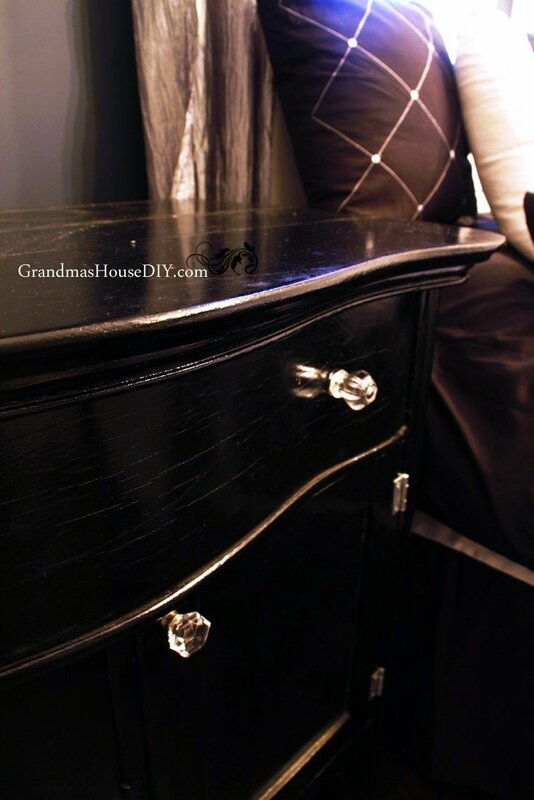 when and if you lower your bed…the washstand could lose a few inches via the legs. Think? Very true! 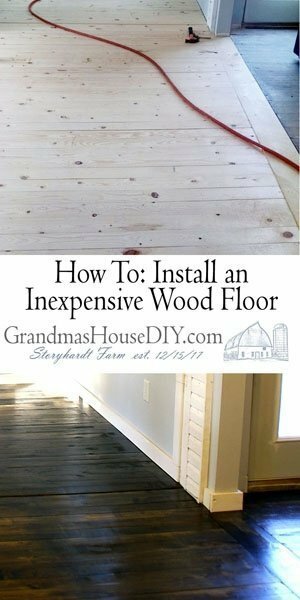 And it would be nice to get those old castors off of the feet anyway, I’ve been wincing for my hardwood floors. 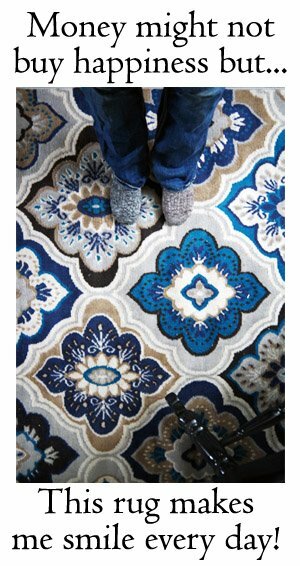 I love your blog, I am from Park Rapids and I can relate to your love of farmhouses. Keep up the good work!! Sherri, its wonderful to hear from you! Thanks! Thank you so much Susie, always appreciate you coming by! Just take the caster off and save them – just in case. This piece looks amazing! I can not believe what you create. 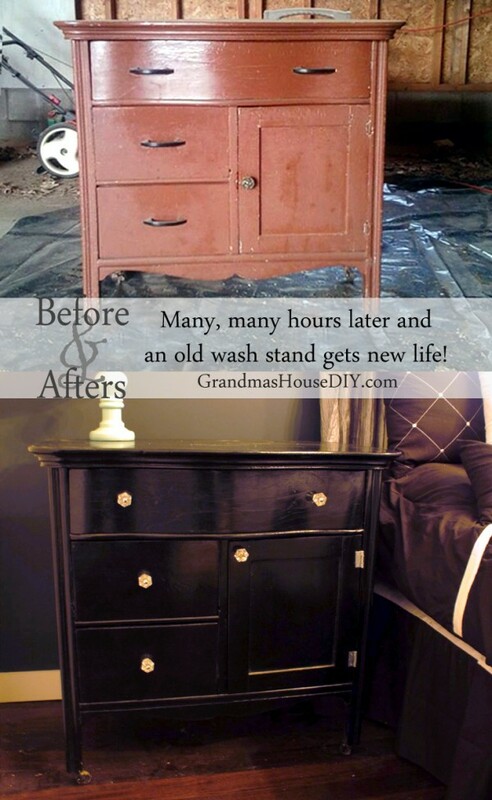 It is so inspiring.I love how you bring new life to old items. I love it!! Your bedside table is beautiful!!! Thank you so much Melony! !